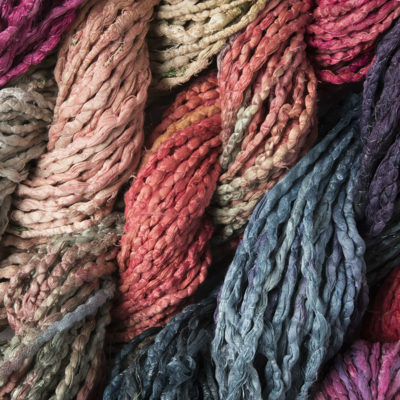 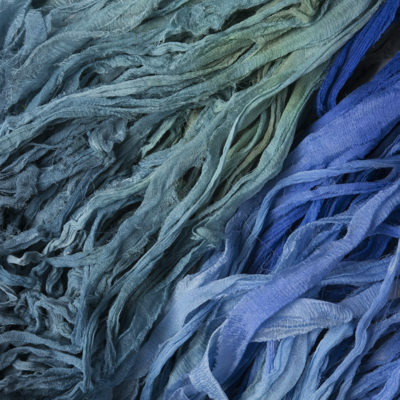 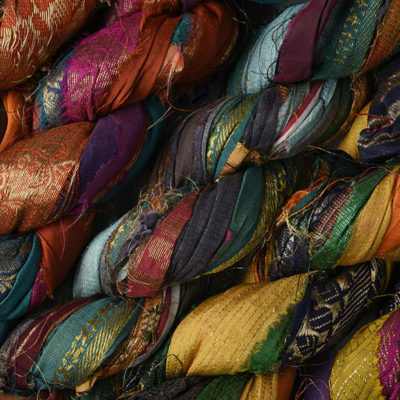 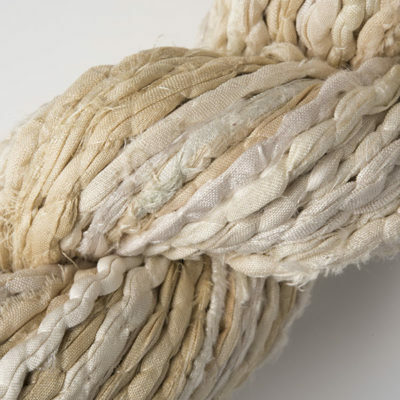 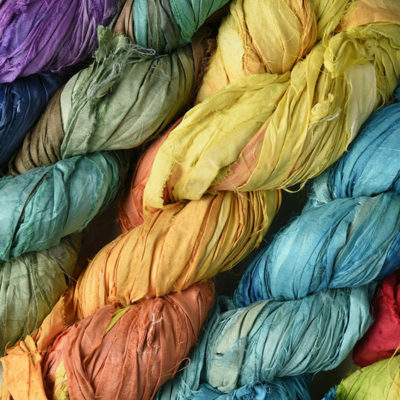 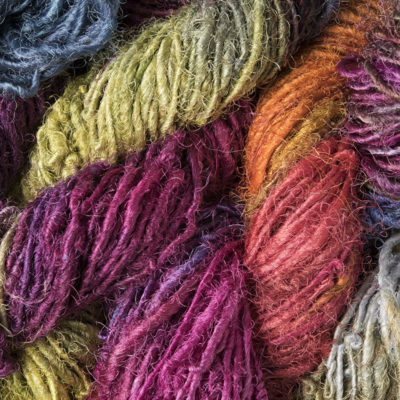 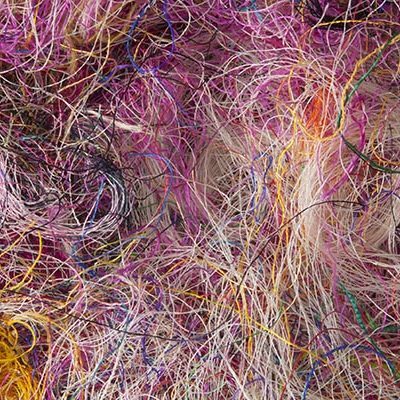 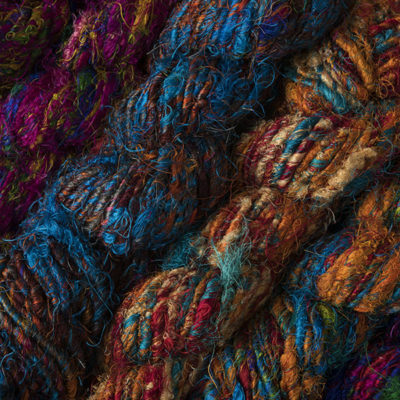 These bundles of Indian sari fabric and recycled yarn are very useful in creative embroidery. 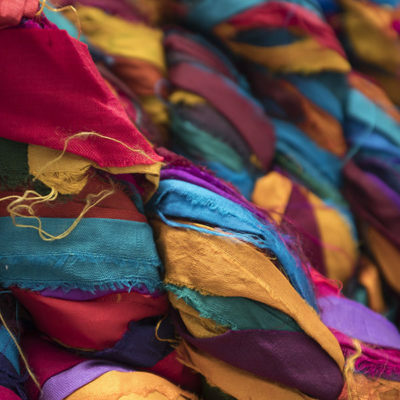 The recycled silk yarn works well with the sari ribbons in creative embroidery and other crafts. 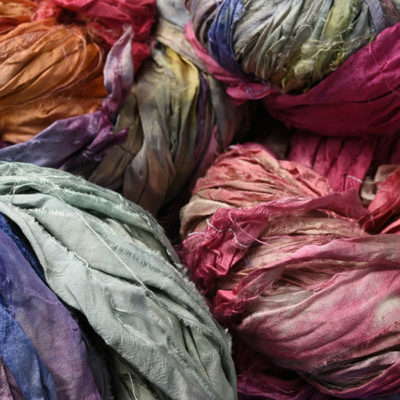 There would also be applications in patchwork and quilting, knitting, embellishing, etc.